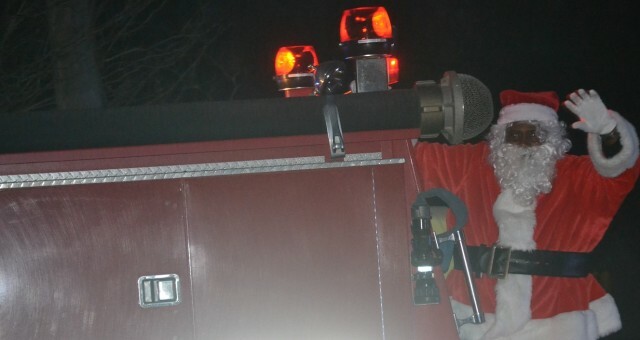 Above, Santa Claus hitches a ride on the back of a fire truck on his way to greet kids at the second annual Charles City Grand Illumination held Sunday afternoon. The event provided opportunities for games, vendors, and a variety of programs and entertainment. Below, the Young-at-Heart sings carols in front of a capacity-filled auditorium to brighten the holiday mood.